Interested in participating? Become a contributor! 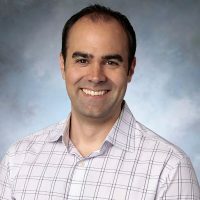 Andrew Guest is an associate professor of psychology and, by courtesy, sociology. In his current role as chair of the Department of Psychological Sciences he is particularly interested in supporting good teaching and learning by attending to mental health on campus. His own teaching and research focuses on lifespan development through activities (particularly sports) and in diverse cultural contexts. Ben runs the TL blog and is also the Instructional Design & Technology Specialist at UP. He works to empower faculty in the use of technology to amplify the impact of teaching and learning. Ben lives in Portland with his wife and two dogs. 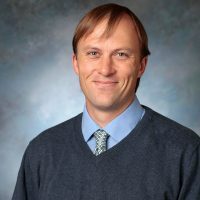 Jeffrey White is an instructor of German in International Languages and Cultures and also the Administrator of the Learning Commons within the Shepard Academic Resource Center. In addition to teaching, he develops and delivers trainings to peer tutors across campus and collaborates with faculty and staff across campus to support students engagement in peer collaboration and learning throughout their undergraduate careers. Jeffrey is also an avid table tennis player. Lars Erik Larson is an Associate Professor at the University of Portland in Oregon. 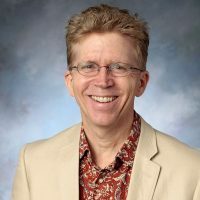 He teaches classes in American literature and spatial thinking, and has published articles on 20th century American highway texts, university pedagogy, and the culture of India. Michael Connolly, a professor of music in the Department of Performing and Fine Arts, has been at UP since 1988. His UP technological experience includes IBM Selectric typewriters, slide projectors and overhead projectors, reel-to-reel and cassette recorders, personal voice mail machines, one shared computer and dot matrix printer for a whole department, boom boxes, the beginning of email, PowerPoint, Moodle, and flipped classroom recordings. What’s next? Zach is an assistant professor in the Department of Psychological Sciences, where he teaches courses on scientific thinking and evolutionary approaches to understanding the mind. He is especially interested in using technology to make learning (and teaching) more effective, but mostly he just watches a lot of TV.